Have a new RocketTag to test? then enter the RocketTag ID in the box below and we will send you an email to confirm that everything is working as it should. RocketTags are a unique QR Code based, lost and found tag system. Use RocketTags to better protect your valuables. 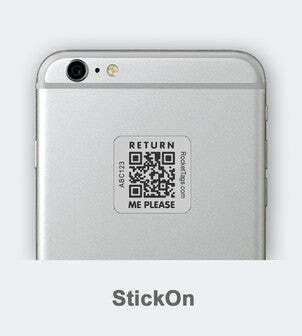 If lost, a finder can scan the RocketTag with a QR Code Reader on any smart phone to return it to its owner. Ever experienced a lost phone, lost luggage or lost keys? use a StickOn, Luggage Tag or KeyRing Tag to protect your valuables today! 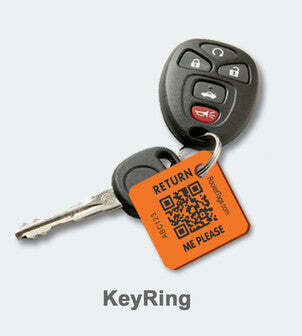 RocketTags come in three different product types to suit any application, StickOn Tags, Luggage Tags & KeyRing Tags. StickOn & KeyRing RocketTags are discreet, light weight and unintrusive. They wont detract from your smart­phone or laptop computers clean aesthetics. 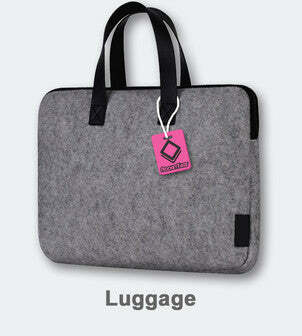 Luggage Tags are larger and offer a great way of protecting larger items when travelling. Unlike other lost and found solutions, RocketTags do not require batteries. They never 'go flat' and never stop pro­tecting your valuables! If the finder doesnt have a smartphone, they can simply enter the unique RocketTag ID (found on each Rocket­Tag product) into the Rocket­Tags website. RocketTags keep your personal details secure. When a finder scans a RocketTag, we email you instantly with their details, it is then up to you how you make contact with them. RocketTags is the ultimate asset protection solution. RocketTags products are available in 4 different colors so you can select the RocketTag that best compliments the item you are protecting. There is no limit to the number of Rocket­Tag products you can associate with an account. RocketTags work no matter where you are in the World. The RocketTags website is provided in multiple languages so no matter who finds your valuables, or where, you have every chance of getting them back. RocketTags are the essential travel accessory. There are no complicated subscriptions with the RocketTags system. And remember, you can add as many RocketTag products to your account as you like. Just scan your new RocketTags with your smartphone to register them or register them on the Rocket­Tags website and you're all done.